Barwicker No. 129 has now been published. The Barwicker is published three times a year. The society's has a programme of summer meetings. See the summer programme. 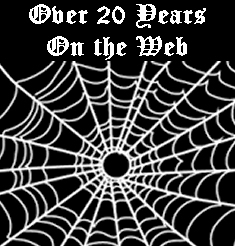 The web site contains many articles and illustrations on a wide range of our history stretching from the Iron Age up to now. 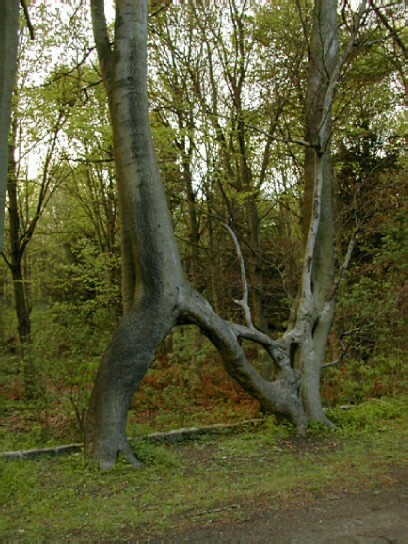 Over 250 of these are taken from our publication "The Barwicker". Parish Burial records up to 2014 are on this site Our thanks to the work of churchwarden, Colin Bond, you are now able to access the parish burial records from 1813 into the current century. Early entries are on-line. The parish registers before 1811 were published 100 years ago. A copy of the publication can now be seen and searched on-line. This is believed to be the oldest photograph of the church viewed from the Cross. 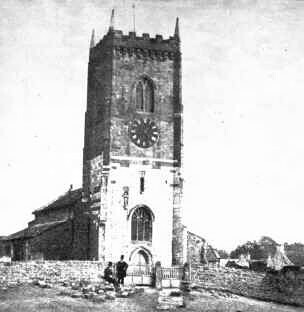 This photograph, which was provided by G F Jones,for the publication “The Old Kingdom of Elmet.” G.Fowler Jones restored the church and it re-opened in 1856. The photograph was taken before the restoration began. In front of the church is the Rector Canon Hope and his curate, which could be either R H Poole or Stafford Bushnell. Can you help us to identify some photographs? Do you know Kathleen Cronk? We have some information for her but she has a new email address and we can't find her. See details in Photoquiz. Take time to look at the items - you never know if you will identify the contents. Recording life in the present and recent times. The Society's collection of photographs and artwork is growing and one recent stereo photograph of the village centre has come our way, Visit "Stereo Pictures". The volume of information on this site is now large. Use the search facility to find what you are looking for.